Back in the summer of 2011, in the midst of my 15-year career as a startup entrepreneur and investor, I wrote a post titled It’s Called Fishing Not Catching to share my view that one’s motivation should not be solely about realizing successful outcomes (i.e., catching the fish). In fact, the most consistently successful people recognize that relishing the journey is as important as reaching your destination. We need to appreciate the process, the problem, and especially the team. This is still my view, and it goes to the heart of why, in the summer of 2018, I formally rejoined the partnership of A.T. Kearney. Jeff Ward and Ben Smith at 2014 World Wide Partner Meeting in San Francisco. I first joined the firm as a 20-something year old kid. I always loved the work, and I formed many deep and lasting bonds during my years as an A.T. Kearney engagement manager, principal, and partner. Yet as we moved into the new millennium, I felt compelled to work in the startup world, where I believed most of the technology value capture and important changes would unfold. I have no regrets. As an investor in/advisor to over 40 new ventures, I worked alongside some truly great entrepreneurs. We had a blast shaping whole new areas like social networking and location marketing. I was also asked, from 2001-2002, to help stand up the Transportation Security Administration from zero employees to an organization of tens of thousands, while leading the initial investigations into a number of key technology programs and supporting the deployment of over $10B of technology. Several years ago, having enjoyed some success in two different arenas, I decided that retirement might work. As it turns out, Alabama and Stanford only play college football in the fall, so either I was going to become a Call of Duty phenom or I needed to find fresh passions to pursue. Late in 2016, I was invited by A.T. Kearney to serve as partner emeritus and senior advisor to the partnership, supporting the firm’s growth in digital, media and high technology. It felt like I had never left. Even while I was off exploring other territory, I stayed closely connected with the firm. I spoke at firm events, was a firm client, and I shared countless meals with A.T. Kearney alumni. Further, the firm’s leaders were old friends and honored colleagues — people like Alex Liu, Johan Aurik, Saurine Doshi, Jeff Ward and too many others to name here. Reconnecting felt effortless, and I found their vision for the firm’s future compelling. I soon realized, I want to be more than an advisor. I want to be in the thick of it. I’m equally inspired by the super smart, amazing young talent A.T. Kearney is attracting from all over the world. They may not know it yet, but they can change the world. I came back to help them try. I envision the next great wave of innovation being driven by big companies embracing digital, and I feel compelled to help all kinds of companies tap their full digital potential. The old boundaries that divided tradition from innovation are tumbling down, creating possibilities unlike any we’ve seen before. Feels like a great time to go fishing. There is no more capable or dedicated group of colleagues with whom to pursue such a mission than my partners at A.T. Kearney. I am grateful and humbled to be welcomed back into this unique firm and esteemed partnership, which has meant so much to me for so many years. I look forward to learning from and working with old friends, within and outside of the firm, and to forging new bonds and pursuing fresh adventures. Please let me know how I can help you and, if you are so inclined, how you might help me. Ryan Osilla (co-founder at Sourcerer) and I go back quite far. I first met him while he was working on his struggling startup and contributing to a political campaign in northwest Florida back in 2004. 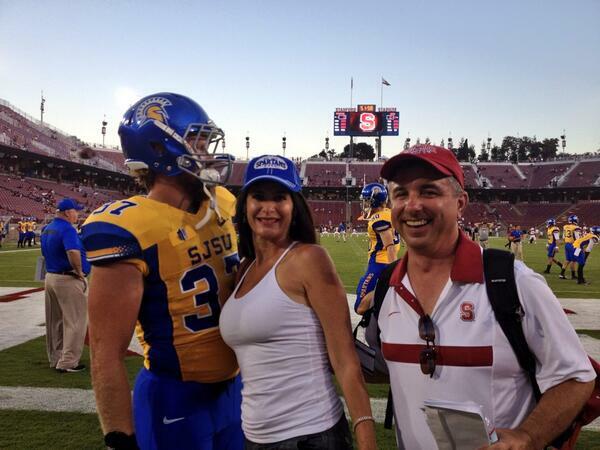 We hit it off and I convinced him to move to Silicon Valley to help me build MerchantCircle. He eventually rose to lead product for us and then subsequently went on to build the fastest growing Internet Company in Brazil, Peixe Urbano. Given this background, when he first approached me on the idea of Sourcerer I was ecstatic to learn more. Not in the least because he’s a friend but even more so that I was looking at the concept back during my Borland CodeGear days. Specifically, wanting to develop a social/professional network of software engineers. It obviously never happened but it’s core always held something captivating for me. Software engineering is a rapidly growing skill and career path. There are 6M software engineers in the US alone. There are 18.2M worldwide and projections for there to be over 26.4M by next year. The information they are looking to index is massive. Github alone has 57M repositories, which is only one part of the whole when you think of the many companies/users using a privately hosted version. Much like what Behance did for the design community, I believe should exist for the software engineering community. There is a real art/talent associated with great engineering that deserves their own place to discuss, grow, and socialize professionally. Why shouldn’t they be able to share the languages and libraries they use, what math they like, who they work with, how much they hate unit tests, and how brave they are to refactor. All of which would be discovered through Sourcerer’s indexing and a community sitting on top of it. I could go on for quite a bit more but I think you get the point. There is a real opportunity here that I along with the other angels and investors including 3KVC, Graph Ventures, Social Capital, and Accelerator Ventures couldn’t pass up. In addition, the team is top notch. I can’t wait to see their progress. As of now, I’m told they are already collecting early users for their alpha release. If you are an engineer, I would highly recommend you check out what they are doing at Sourcerer. Mobile now accounts for 50% of all time spent online, and more than one-third of people use mobile exclusively for purchase research. As Internet use continues to shift toward mobile, it is essential that we deliver the right content to the right consumer at the right time. 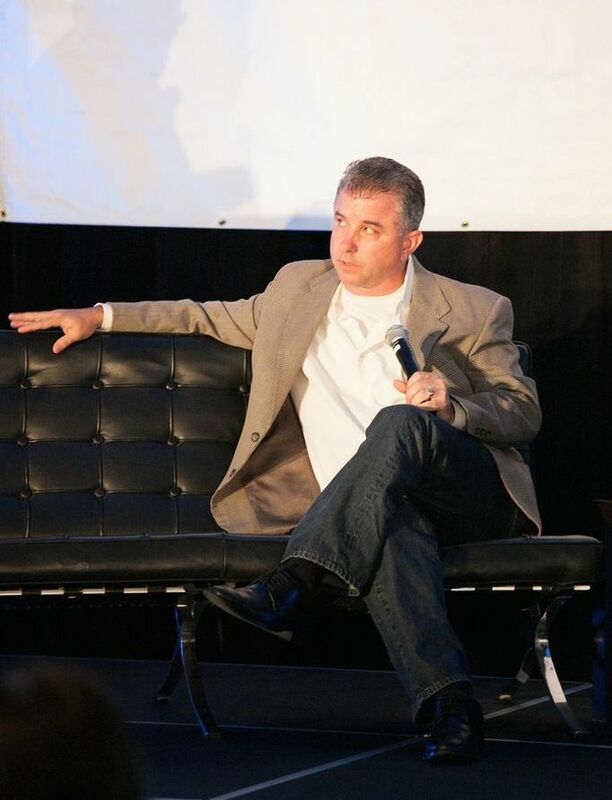 Last week, I was asked to speak on the panel “Using Mobile to Connect Content and Commerce” at the Street Fight Summit West Conference in San Francisco. I was joined by Yellow Pages CMO Allison Checci, Gilt City President Steve Schneider, and moderator Bill Dinan from Telmetrics. A major theme of our discussion was the ever-changing path to purchase, and the opportunity to rethink how we interact with mobile-first consumers. Retailers historically had ways to shape demand and get your attention, so when you made that trip to go shopping you decided to go to Kohl’s instead of Macy’s. Now, with mobile we have a chance to get in front of you directly, so when you are in fact going to Macy’s, we can tell you to go to Kohl’s. With our Find&Save geo-focused mobile apps, we are able to deliver highly relevant content to users based on their physical locations. If you are walking into a Home Depot, we have the ability to push an ad to save $10 at Lowe’s in the next four hours. That’s pretty effective in terms of getting you to consider Lowe’s and cross their threshold, instead of spending your whole wallet at Home Depot. You couldn’t have done that before mobile, because you didn’t know where that person was and didn’t have access to them outside the home. Mobile is changing the way we discover, find and buy goods/services online. During my time at MerchantCircle, our main focus was building the largest network of SMB’s on the web. It wasn’t until 2010, about a year before selling the company to Reply! that our attention began to shift toward developing a mobile app. Apps are making mobile devices more useful for everyday human needs, helping us consume and digest information easier. It is crucial to design simple apps; they should only perform one specific point function. Consumers prefer simplicity; they expect the app to push a button and do something. They don’t expect it to do everything; they expect it to do one thing. A big difference in how you approach the app world is building a portfolio of apps that solve specific problems vs. the all-encompassing app. This year’s Street Fight Summit West Conference was packed with insights into the growing system of hyperlocal media. As time goes on we will see new location technologies bring local data to the next level. 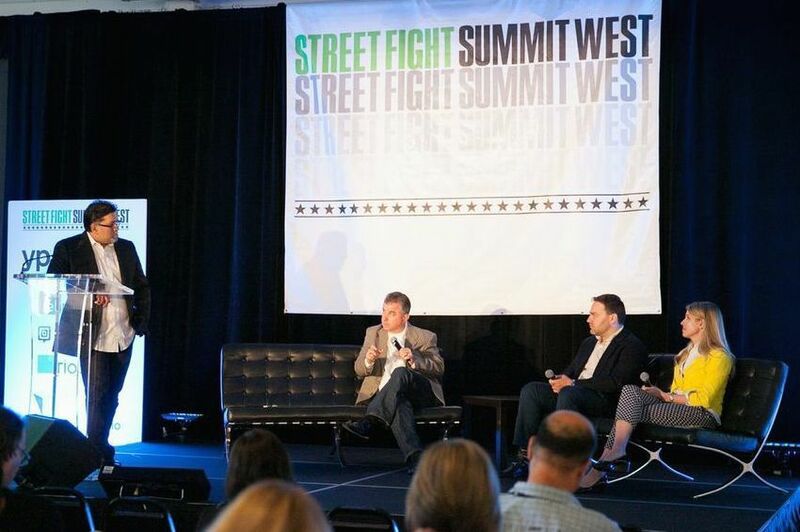 As we continue to work on bringing consumers and retailers together, I am already looking forward to attending Street Fight Summit West 2015 and sharing our latest learnings. I recently wrote a piece for Entrepreneur.com, “How to Acquire a Small Business (and Keep Employees Happy)” to offer some framework for the purchase of a small business — a move that requires a different strategy. Small companies are difficult to buy, but they can have tremendous benefits to the acquirer over the long term — an argument that has been proven over and over again in Silicon Valley. Having bought a number of small companies and frankly having sold my companies to bigger companies a number of times, I have learned that these 8 steps help make this a smoother process — on both ends. 2. Respect the existing products and the customer relationships. Whether or not you plan to keep the existing business, you must respect what that team built in terms of product and customer relationships. This is what they sold their soul to for two or maybe three years. When Facebook announced in 2012 they were acquiring two-year-old Instagram for $1 billion, some investors felt the valuation was high. 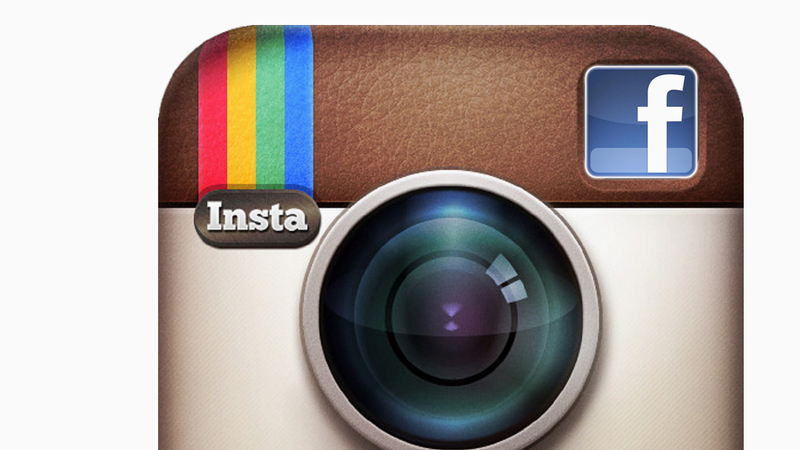 At the time, Zuckerberg said that Facebook planned to build on Instagram’s features and grow the app independently. Now two years later, Instagram remains completely separate from Facebook and the valuation is now in the $5-$15 billion range. Had Facebook disrupted the existing products and customer relationships, Instagram would likely be less favorable today. If you upset their customers or dismiss their product through a lack of respect, you are going to end up with a lot of very frustrated engineers on your hands. Even if you only wanted the team, there is a chance they will want to leave because they are embarrassed about what was done to their product. 5. Put a short-term material retention program into place. It will indeed be a tough period for current employees, as there will be change. To help reduce employee fears, put into place a short-term material retention program. It is important to remember the retention program needs to be material and at least be as big, or double, as the expected bonus. This will help for a smoother transition period and hopefully retain the newly acquired talent. Look at Facebook’s purchase of WhatsApp for $16 billion in cash and stock. 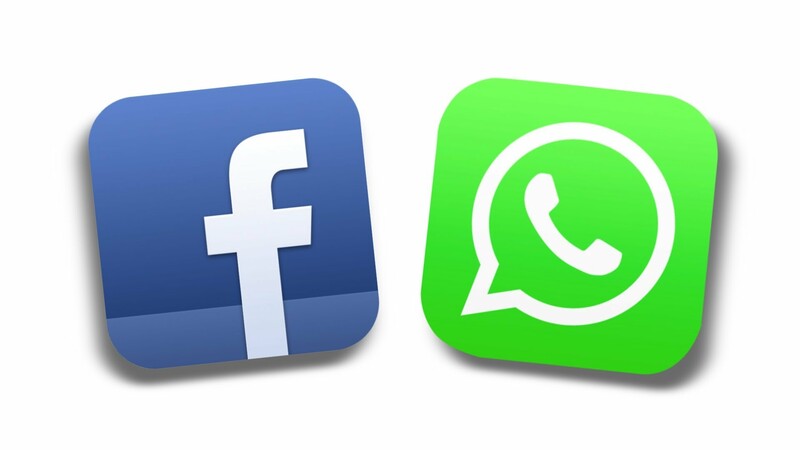 Facebook set aside an additional $3 billion in restricted stock units to be granted to WhatsApp founders and employees that will vest over the next four years. With the corporate landscape changing almost daily and a liquid labor market that allows workers to job-hop easily, retention bonuses are a great way for companies to keep valuable employees. Many believe that such methods add value to the business as well, as they reflect well on company’s management and promote loyalty on both sides. Remember these employees just lost hope of changing the world a little bit, so it is critical to get them through that period and to convince them of the new leadership. Consumers prefer apps that do one, maybe two things, very well. Clunky apps that try to be your virtual Swiss Army Knife typically fail to do anything exceptional, with each additional feature being another impossible frustration. An app should have one purpose, and be great at it. 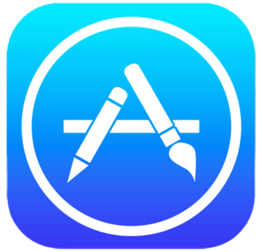 The app marketplace is more crowded and competitive than ever, making it important to put out high-quality apps that meet a user’s expectation. 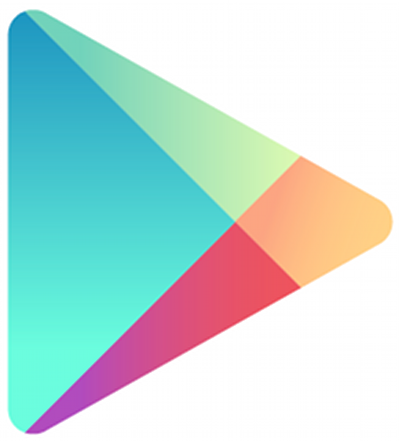 Apps that try to add multiple bonus features are slow to load and prone to errors. According to a recent study on consumer expectations and experiences of mobile devices, 79 percent of users will abandon an app if it fails to work on the first or second try. In addition, 48 percent said that they are less likely to use an app when they are not satisfied with its performance, and might submit unfavorable reviews. Single or dual-purpose apps tend to be less complex, with faster load times and fewer opportunities for malfunctions. Paper, Uber, MyTime and Wells Fargo Mobile are examples of four such apps that do their job: making a user’s life easier. Facebook’s new Paper app is a simplified version of Facebook, with the goal of making it easier to consume content. Buttons, menus and other distractions are removed for a clean layout. Uber connects users to private drivers in select cities in 19 countries around the world. With one tap, Uber checks a user’s location using their device’s GPS and dispatches a driver to pick them up. Uber even tracks driver location to see how far away they are and contacts them if needed. MyTime compares a user’s calendar on a mobile device with that of the business where an appointment is desired, and the user chooses the best option. According to MyTime, most of its appointments are booked after business hours. From barber shops to tennis lessons, the app provides one valuable service for both local businesses and consumers. The Wells Fargo Mobile app foregoes the bells and whistles to concentrate on fast load times at 128 bit SSL encryption. The app has a simple, clean display so users clearly see the fine details related to an account. Paper, Uber, MyTime and Well Fargo Mobile fit the mold of the modern app: light and efficient, quick to load and respond, but powerful and useful. 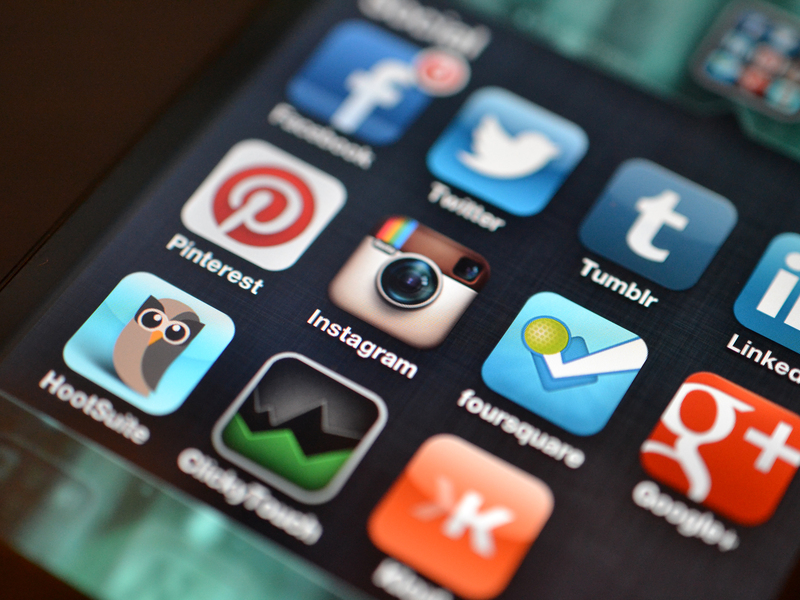 When apps do something well and do it quickly, it fits into the lifestyle of today’s consumer. The formula is easy: a simple function or service + clean, easy to navigate design = a successful app that users will keep coming back to. I co-authored an article, “How to Optimize User Experience Across Multiple Devices” with Steve Trefethen, CTO of Wanderful Media. Having both worked in technology for many years; we understand the importance of focusing on user experience. Today, people are using a variety of devices to access the web, so you can’t ignore the different screen sizes, interaction options and software capabilities. The days of building solely for the desktop or laptop are over, we must spread our focus across multiple devices to meet user expectations. 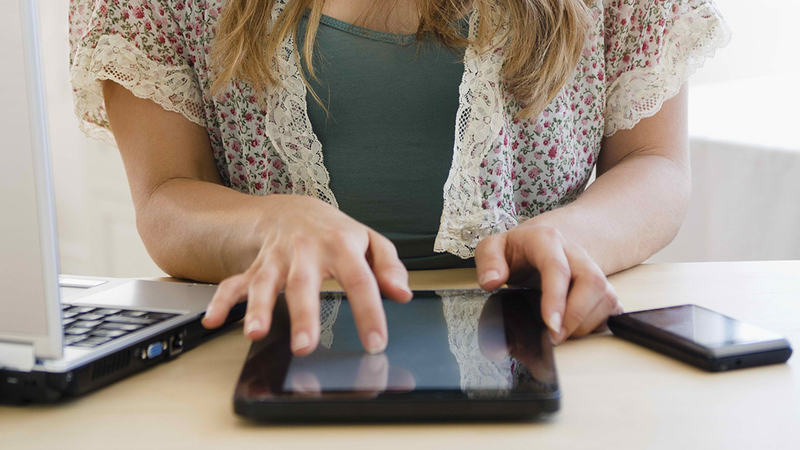 People often use different-sized devices sequentially throughout the day. They also tend to begin their online activities on a smartphone, except when shopping or managing their finances. Meanwhile, tablets are the most commonly used device for watching videos and planning trips. Web developers have no choice but to adapt to the wide variety of devices being used. The solution to optimizing sites and apps across multiple devices lies in responsive web design. 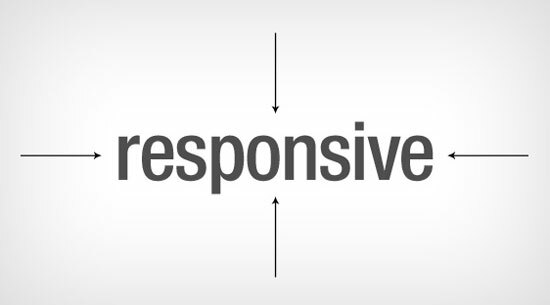 With responsive web design, you can create layouts and content that adjust based on a device. These sites automatically determine the system that is being used, and choose the proper formatting for the device and its screen size. If you think about it, every year develops a character, or theme of its own depending upon objectives we’ve set, choices we’ve made and unexpected events that occurred along the way. On the personal side, 2013 was driven by a few new beginnings for me; getting married this past spring, moving to Los Gatos after 14 years in Scotts Valley and three of my kids starting their freshman year of high school. It has been a busy year, but I managed to see more college games than I did in 2012 and I look forward to closing out the year with some big bowl games. We reimagined the Find&Save web experience and launched FindnSave.com. We also expanded to 470 newspaper sites. Our audience has grown by 40% in combined engagement and visitors in the last 60 days alone. We still have a few major improvements up our sleeve, but the web is just the foundation. We launched our iPad app 60 days ago; it now makes up 10% of our audience and is growing faster than the web by far. It’s not unlikely that it will reach 50% in the near future. The iPad app is still in its early stage and we have to begin to build distribution for it. But given that engagement is four times than what it is on the web, it has the potential to change consumer behavior in a big way. A few weeks ago we launched our first iPhone app in the App Store. According to Greg Sterling’s article on Screenwerk, “Find&Save offers what may well be the best overall shopping app/experience online – period.” We have more work left to do to perfect this app even more, have two more consumer apps in design and our local merchant app at the conceptual stage. We renovated a historic building in Downtown Chico to design a Silicon Valley-styled workplace for our development and production office. We’ve already had great support from the community with successful events, and even won the area’s Tech Company of the Year award from Innovate Northstate. By the end of 2014, we hope to fundamentally change consumer behavior, and just as importantly, create a set of advertising options for retailers that don’t exist today. When we put our apps in the hands of 50MM consumers, it will have the consumer purchase power that circulars have had historically. We see a path to building a much larger, more targeted and more engaged audience than all of the combined printed “circular like” vehicles over the next five years. Our investors will own something that touches more consumers, more deeply than the 100 plus-year-old circular business. When all is said and done, I’m excited about the road ahead and optimistic for another successful year in 2014. It’s a Wanderful time to be in the news! With the first official day of fall around the corner, Wanderful is moving quickly to prepare for the holiday shopping season. Momentum is building and media outlets are taking notice of our hard work. 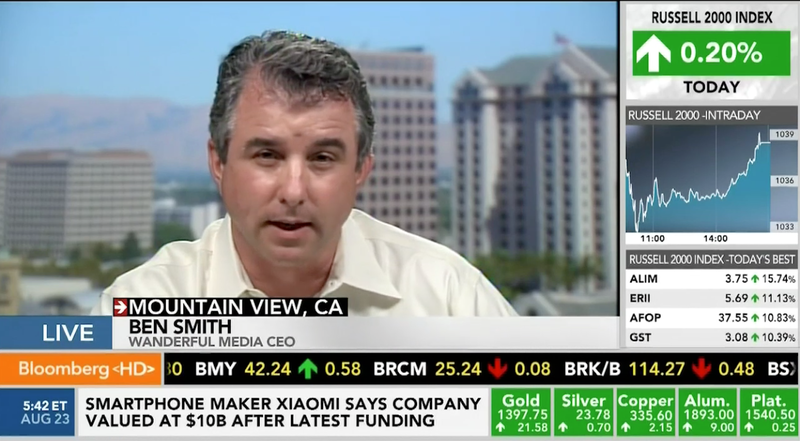 A few weeks ago I was interviewed live on Bloomberg TV’s “Taking Stock with Pimm Fox.” We discussed how newspapers are getting serious about digital ads, and I provided an overview of Wanderful Media and our main product Find&Save. I explained that our focus over the last year has been building a product that engages the audience across the web and mobile devices, with a real big focus on the tablet given that we think that is a very natural way to do discovery shopping, very similar to sitting on the couch and flipping through the circular. I was also asked to comment on a post for NetNewsCheck, helping announce the upcoming Place Indoor Marketing Summit. This event is being hosted by Greg Sterling’s Opus Research and will bring together the entire spectrum of companies building the indoor marketing ecosystem. With billions of dollars being spent each year trying to influence consumer buying in stores, a percentage of that money will migrate towards indoor marketing. The goal of the newspaper insert is to drive shoppers to stores, and indoor-marketing techniques implemented by retailers will encourage shoppers to buy more stuff. I am looking forward to speaking at this event on October 8th in San Francisco. To read the full article, click here: Indoor Marketing: The Next Disruptor? – NetNewsCheck (published on August 20, 2013). Recently, Wanderful’s Grace Chan shared her thoughts on Marissa Mayer’s Vogue photo with CNN. She contributed to an article on CNN.com and also joined anchor Brooke Baldwin and writer Kelly Wallace live on CNN Newsroom to further discuss her personal views. When asked if she would ever pose for Vogue as executive, Grace said “This is something I wouldn’t personally do because I believe if you want to be treated equal, you shouldn’t take advantage of your physical assets”. I recently co-authored an Independent Retailer article with Seema Sud, Director of Product Management for Mobile and Tablet at Wanderful Media. We were asked to share our thoughts on Mobile Technology for the magazine’s readers. As the rate of mobile usage continues to surge, we see some challenges ahead, but a lot of opportunity for independent retailers. Our focus has always been on connecting local retailers with consumers, and we believe mobile technology is a key element for making this happen. The Internet is always open for business, and mobile devices are enabling consumers to browse, check reviews, find stores and buy products anywhere/anytime. Optimize for mobile – More than ever, consumers are using mobile devices to compare information about companies, products and pricing prior to making a purchase. Independent retailers should optimize their website so it can easily be viewed across all mobile devices. 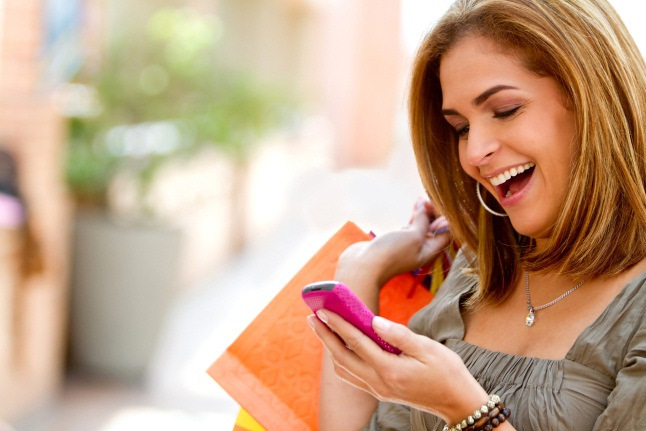 A poor mobile experience can dramatically impact shopping and the overall bottom line. Image is everything – Think of images as multiple window displays for your business. High-quality images attract consumers, and this is especially true when it comes to shopping. For most consumers, detailed images carry more weight than product information, full descriptions and customer ratings. In 2013, it is expected that the number of mobile devices will exceed the number of people. The time is now for independent retailers to integrate mobile technology into their business. A fundamental shift must be made to meet the expectations of the modern customer – the longer businesses hold out, the harder it will be to catch up. We’ve been heads-down, busy working, and I am very pleased with the team’s accomplishments so far in 2013. Wanderful Media recently announced raising an additional $9 million from our existing investors, bringing our total funding to $36 million. This additional capital emphasizes the continued enthusiasm from our core group of investors in the market potential and in our overall product strategy. Over the last few months, we’ve been building some exciting new features and enhancements into our Find&Save experience. Some of these include: our Trending Community Picks widget, Community Picks Page, My Lists Page and major refinements to search and navigation. I want to thank the entire team for their hard work, but specifically Dave Thomsen and Grace Chan for driving our product/design, Seema Sud for her focus on building our mobile products, and Steve Trefethen for overseeing the development and deployment of our web and mobile presence. Wanderful Media’s decision to ‘double-down’ on mobile and social has pushed us to the forefront of innovation in this area. Today’s consumers want more from their shopping experience and our team is focused on delivering the information they crave in a quick and easy format. Our newly reimagined Find&Save allows retailers to engage shoppers around sales and products, with the intent of driving them across the threshold of retail stores.